Distance makes the heart grow fonder. And in terms of helping out a family member or friend in need, distance can also make caregiving seem more difficult. In a perfect world, we’d be able to instantly be there for a loved one in their time of need. However, location, work, finances, and a number of other factors can often prevent that from happening. The good news? There’s still so much you can do from far away. If you’re new to long distance caregiving, we’re sharing our insights into how you can best support your loved one even from a distance. · Collect and organize all health information including current medications, health problems, insurance, etc. What’s important to keep in mind is that your loved one’s needs may change over time, so your role may change as well. The best way to remain helpful is to ask the primary caregiver and your loved one how best you can help out. Many of us don’t have prior experience in caregiving, so this new role can seem overwhelming or confusing at times. In order to support your loved one, you need to first support yourself. Talk with friends who are also caregivers for suggestions or read up on online resources for extra information to assist you along the way. There are bound to be bumps in the road as a long distance caregiver, but never forget the difference you can make no matter where you are. And if any confusion or questions arise, feel free to reach out and ask for clarification. In the end, your help goes a long way and your bond with your loved one will be even stronger for it. Are you a long distance caregiver for someone in the Highland Park area? 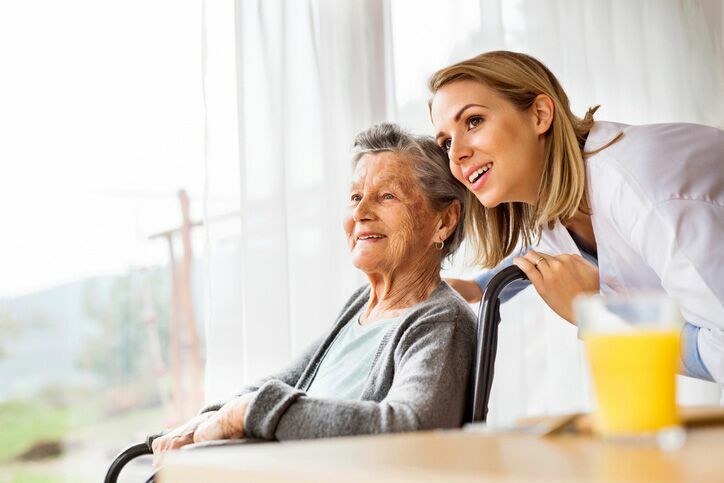 Search for a ‘Home Care Agency Near Me’ and let us help in finding the Highland Park Home Care that’s just right for your loved one.